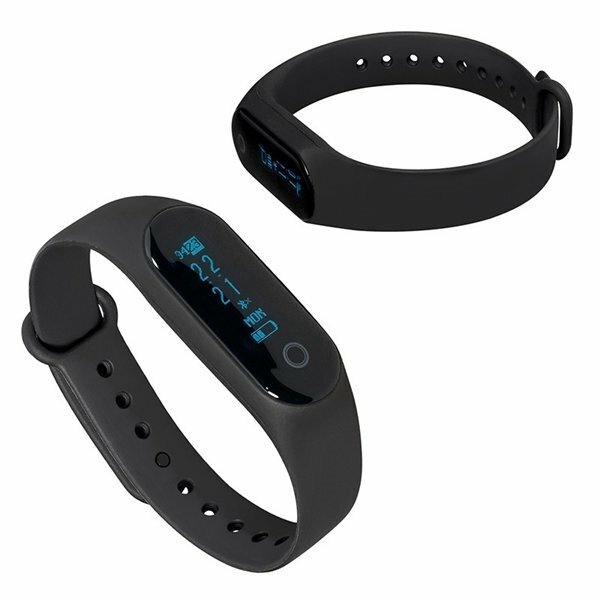 Digital watch, fitness and activity tracker made of PC Plastic and adjustable TPU band with aluminum clasp. Power/Technology: Rechargeable Lithium Polymer Battery: 3.7V, Capacity: 50 mAh; Screen type: 0.86" OLED; Working temperature: -20℃ ~50℃ (-4F~122F); Bluetooth® 4.0. Works with most smartphones. System requirements: Android 4.4 and above, iOS 7 and above. 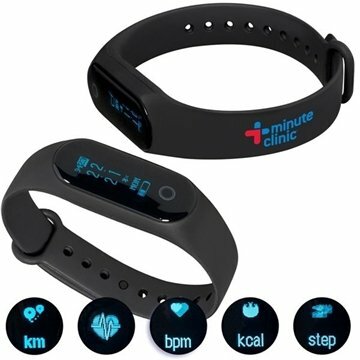 Features include: clock, alarm, call answering, message notification, step counter, distance calculator, calories burned, . Designed for use with free “Smart Bee" app available through google play and apple app stores. Device must be charged prior to first use. Charge time varies by device, minimum 1.5 hrs. Includes instructions and charging cable.